PEÑA SOLERA cycling team’s jersey with which Bahamontes won its first round Asturias (general classification and mountain prize). Spanish team that belonged to the oldest cycling section. The cycling team was directed by Pedro Salvat, with the sponsorship of company Miguel Viader and acting as director of team José Chover. The magnificent team of cyclists. 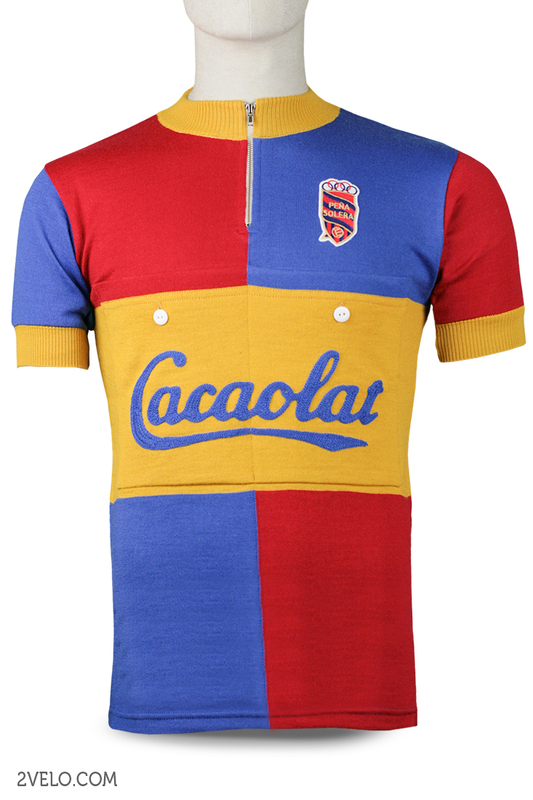 This Jersey has never been reproduced since 1955, in lycra or other material, it has not been widely disseminated since in 1955 the tour de France would be run by national and regional teams. 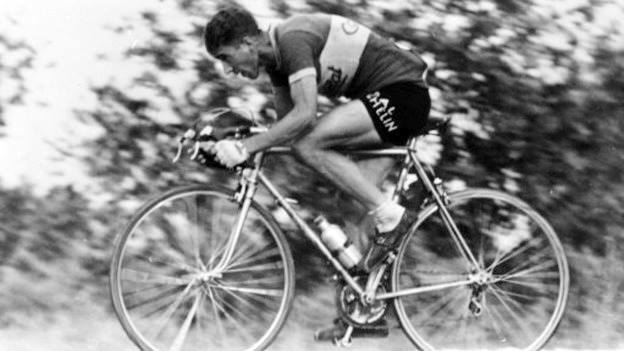 Gazzola, wool jersey. 100% Merino wool. Chainstitch embroidery.